Registration for Artful Gathering Online Events 2017 is open ! 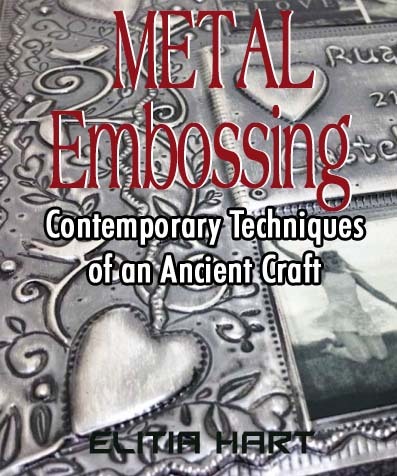 I will be offering a comprehensive Online Metal Embossing Course from July 16 to August 26, 2017 through Artful Gathering Online Events . Videos are not downloadable but will all be available 24/7 from the first day of class until the session ends on August 26, 2017. Unlike an in-person art retreat, Artful Gathering Retreats are geared toward making your own schedule, your own way. You get to choose the path you want to take! You can choose from a wide variety of art workshops from all different art genres too. Most of all, there is no rushing and no pressure to finish your projects quickly because you will have access to your lessons and your instructors for 6 full weeks of class. DVD version available at close of workshop, at student value price, for students only.